Often our childhood dream jobs seem lofty and out of reach. Astronaut? Impractical. Firefighters? Too dangerous! Dinosaur cowboys? Don’t exist (yet)! 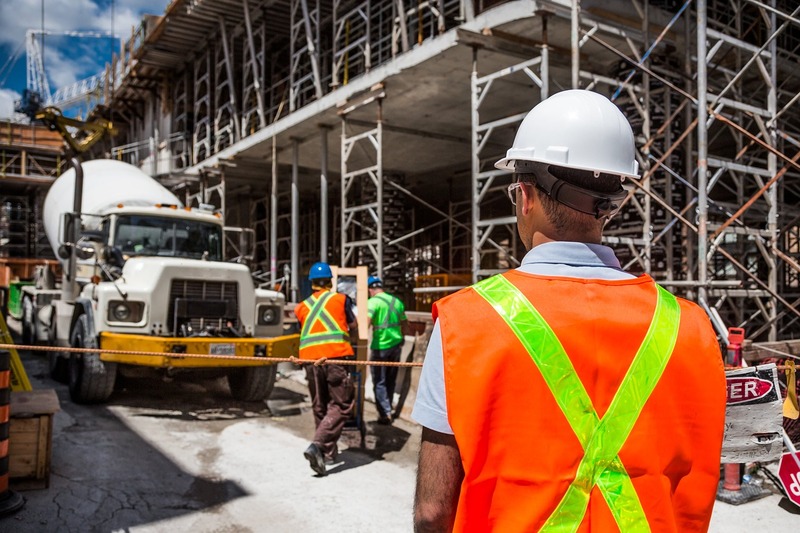 Those of us raised in the age of Tonka Trucks or even Bob the Builder had a different idea – construction worker! While it may not seem a lofty dream, it is an honest profession that enables people to develop a trade. One of the most important aspects of construction is concrete work. This article will take a look at the real path from “zero” to “concrete hero” and help identify why this career path may appeal to you and what advantages it has. Concrete masonry is, above all, an extremely rewarding career path. By no means is it an “easy” career path, but it provides the right balance of challenging and rewarding. 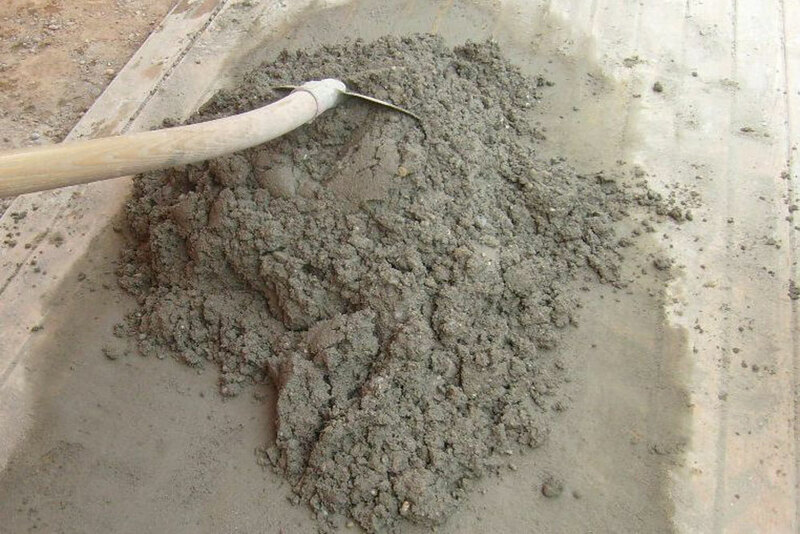 Concrete masonry covers a number of activities: pouring & molding concrete, laying foundations, preparing sidewalks, smoothing, pressing patterns, and finishing jobs. Concrete masonry is a growing industry, with an expected 13-15% growth in the next year alone. Jobs are plentiful. One of the biggest advantages of concrete masonry is that it is a true trade job. Almost all concrete masons learn on-the-job and develop their skills hands-on. There’s no need for schooling outside of some basic safety trainings. This is an excellent path for those of us looking for hands-on jobs that don’t require years of schooling. Day-to-day work is labor-intensive and happens outdoors. It is sometimes weather-dependent and somewhat seasonal in nature. It’s strenuous, but at the end of the day you have a clear picture of what you’ve accomplished. There are few more rewarding feelings seeing your work through from start to finish. Especially when it’s something that people will use every single day. Most people get started as apprentices on-the-job. You’ll stay as an “apprentice” until you prove your mettle working different types of jobs. The length of this depends on how often you work, how quickly you take to the hands-on aspect, and how much you have the opportunity to cover. There are opportunities for more formal styles of apprenticeship. These usually last about three years and cover the same hands-on work. Apprenticeships include other construction essentials that will help you advance your career. A 3-year apprenticeship can include skills like blueprint analysis, building code knowledge, OSHA workshops and math. These skills will fast-track many people to higher pay, more skilled jobs, and advancement in the industry. Once this formal apprenticeship ends, the worker is considered a “journeyman.” Journeymen are qualified to work independently on any type of concrete masonry job. Once you’re on-the-job, salaries tend to hover around $42,000. This is an excellent starting pay for a job that often has no requirements for a high school diploma or college degree. There is plenty of room for growth as your skills increase. If you transition into supervisory or management positions, salaries reach into 6 figures. Well if you’re working 8 months out of the year, that means you’ll have 4 months a year to recover from the rigorous season. That might mean time home with your family. For the economically minded, it might mean finding another seasonal job to bump up the paycheck. You’ve got more freedom. As a concrete finisher you have quite a few options for your career path. If you want to grow from concrete finishing into a new position, there’s room for advancement. After years on the job, you may find yourself working towards management, foreman, or other leadership positions. These jobs come with supervisory expectations and a big pay increase. They also move you away from the “hands-on” work. If management isn’t appealing, as you grow skills on the job you’ll naturally grow your pay level with every year of experience. And learning difficult or niche techniques will also make you more desirable. But don’t think that moving up someone else’s ladder is the only way to grow. For many people, the greatest reward and profit actually comes from starting your own contracting business. Once you’ve tested your mettle in another company and seen how the supervisory aspects work, you’re well on your way to having the know-how to get your own company started. 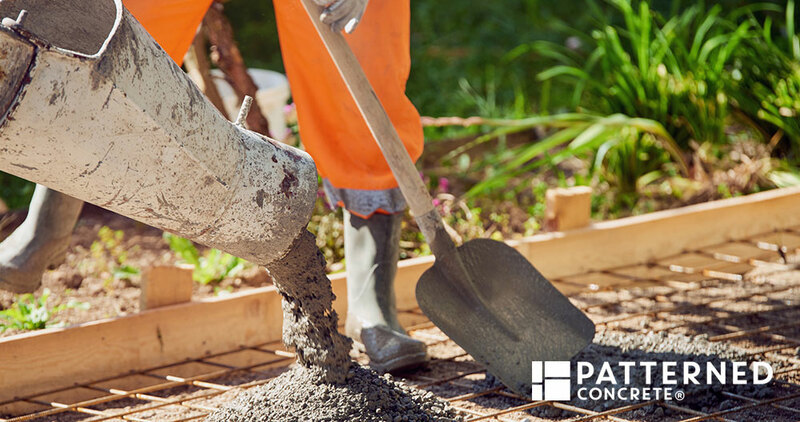 Starting a business as a concrete contractor is a great way to put energy into the parts of the job you find most satisfying. You can also cut many of the negatives. As a contractor you’ll have a lot more freedom to decide when you want to work, where you want to work, and who you want to work with. You’ll also have more control over your income growth as you learn the ins and outs of the business. I’ve mentioned that moving into niche markets will increase your desirability and open you up to higher-paying jobs. But what sort of “niche markets” are those? One of the best examples of this is stamped concrete. 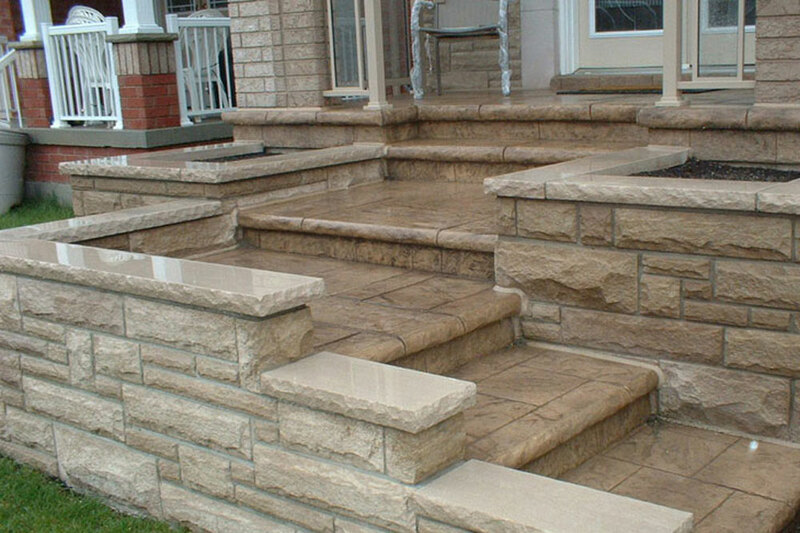 Stamped concrete is a specialized aspect of concrete masonry that you’ve seen hundreds of times. To put it simply: stamped concrete is exactly what the name implies. After pouring concrete you use special molds or stamps to create a pattern in the wet cement. After the cement dries you’re left with an appealing pattern. Most often these are paths that look like brickwork or flagstones – without having to lay hundreds of stones by hand. Stamping concrete is an increasingly popular option because it saves time and money and looks great. The tools required to do concrete stamping are somewhat low-tech. It’s a technique you can learn easily on-the-job or even at home with lots of practice. This is a highly in-demand skill that will send your resume to the top of the pile. Concrete stamping is also one avenue for starting your own contracting business. At Patterned Concrete we offer franchising opportunities for new stamping contractors. This means you’ll have an immediate boost to your business from backing by one of the most respected names in the concrete business. Patterned Concrete has international reach and is growing at huge rates, meaning now is a great time to get on board. As the concrete industry continues to grow, there’s no reason you shouldn’t be growing with it. Once you get started you’ll find yourself cruising to the top along with the rest of the industry. The options for growth are practically unlimited: growing skills, moving into management, and becoming a contractor are just a few of the most common options. The important thing is getting started though! All you have to do is look into the jobs in your area and get ready to start learning.